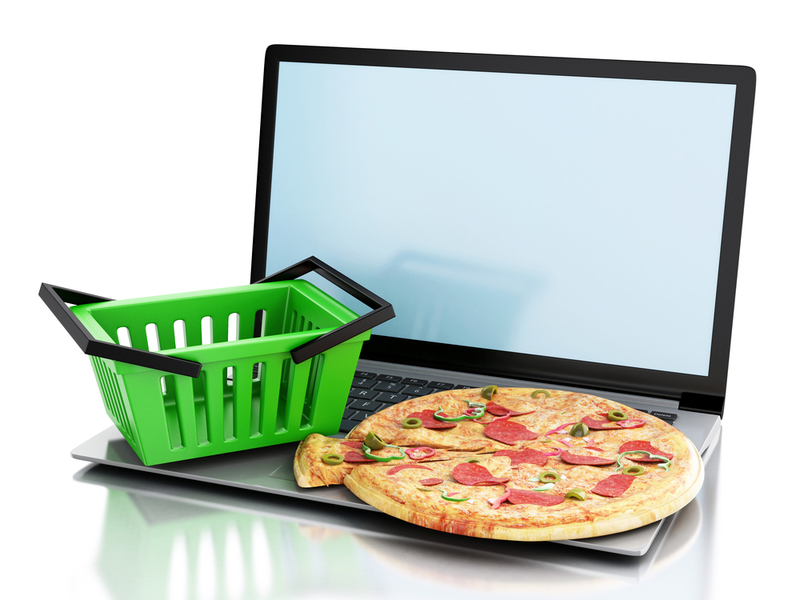 How Long do you Have to Wait Before you Notice a Profit in Your Online Ordering System? This question is easily the first one that comes to mind for any owner or restaurateur who has made the logical decision to offer online ordering. Clearly, you’re already sold on the benefits of the system, but as a business person, you want to know how long until this innovation you have integrated into your daily operations begins to impact your bottom line. There are three factors that affect how quickly an online ordering system increases profitability: customer adoption, operating expenses and future revenue. You should start to see immediate changes in these three areas once your online ordering goes live, and the speed at which profitability improves depends largely on how these three factors change post-launch. Let’s look at a few scenarios regarding these key profitability factors so you can get a clearer picture of how soon your profits will begin to increase. The continuing trend with online ordering for restaurants has largely been a Field of Dreams scenario: “If you build it, they will come.” As soon as word gets out in-house and via marketing channels that you offer online ordering for takeout or delivery, you are going to see a boost in takeout revenue and orders. Dining out is a major time commitment for the numerous busy professionals and families who make up the majority of your online ordering customers. The ability to punch in an order on their computer or smartphone and simply swing by to pickup and pay is a godsend to anyone who has a long commute or a busy schedule, between their family and career. Online ordering also allows customers to enjoy your cuisine in the comfort of their own homes, whenever that is most convenient, which directly leads to more home dining on weekends and evenings when they are not so pressed for time. As more and more customers learn about your convenient and easy online ordering for takeout, they will start to spread the word among their friends and family and further increase your revenue. Best of all, in terms of profitability, customers tend to order more food when placing their orders via smartphone or the internet because they do not feel they are imposing on anyone’s time but their own. The average amount per ticket for online ordering is $4 higher than takeout orders by phone or in-house, and this has been largely attributed to customers feeling less pressured to order and make way for the person standing in line behind them. Higher ticket orders means more revenue for you, and a direct increase in profitability in a much shorter period of time. One of the greatest benefits of a well-designed and implemented online ordering system is the reduction in overall operating expenses that comes with that transition. First and foremost among these is an average reduction in labor costs of between two and five hours per operating day. Your staff spends an average of one to three minutes per phone-in takeout order; when you consider the volume of average telephone takeout orders per day at most restaurants, that time spent adds up quickly. When customers order online, those five hours of phone time per day are now freed up, and your staff can spend that time providing exceptional service to customers arriving to pick up their online orders and serving in-house guests, as well. Furthermore, online ordering reduces waste from inaccurate telephone-based orders that must be thrown out because they aren’t what the customer wanted. Reducing waste and labor costs both reduce your direct overhead expenses, which directly contributes to an increase in profitability that is noticeable almost immediately. Not only are your customers and staff happier and more productive, but you are also improving the overall dining experience of your restaurant while reducing your operating costs. Online ordering makes it extremely simple to collect customer information regarding past orders and preferences for specific dishes you serve. Based on this data collection, you can target promotions to increase revenue by offering promotions on what customers like to order most. When you know an item is popular, you can offer a discount with the knowledge that what you lose per order you will make up on an increase in overall orders. Additionally, when you go to order materials and ingredients each week, you will already know what additional quantities you need to order based on your recent order history. Intelligent, data-driven promotions and ordering both directly impact profitability in a noticeable and immediate way, allowing you to more quickly recoup the cost of your online ordering investment and increase your overall net earnings. All in all, the amount of time for real profits to manifest from an online ordering system varies individually. There are numerous immediate effects that will be felt by you, your staff, your customers and your balance sheet. If increased profitability is a concern for you as an owner or operator, rest assured that your investment in an online ordering system will not go to waste. There are few certainties in the foodservice industry, but online ordering profitability is definitely one of them. Get started with an online ordering system for your restaurant today, and get ready to watch those profits rise.